With Black Lives Matter and #MeToo, Americans have started to hear about the worst actors and biggest perpetrators of systemic problems related to racism and sexism. But there’s a side we don’t often talk about: the role of the common person in our society who benefits from these systematic problems. That’s what got longtime audio documentary maker John Biewen's ear. He started to wonder if he, as a white man, had done everything he should to help people on the receiving end of prejudice. And, perhaps most importantly, he started to ask if he was part of the problem. That's when he decided to dedicate a series of the "Scene on Radio" podcast from the Center for Documentary Studies at Duke University to exploring the history of race in America, called 'Seeing White.' But, Biewen knew his expertise, and perspective, were limited, so he got experts, and people with different perspectives than himself to co-host. 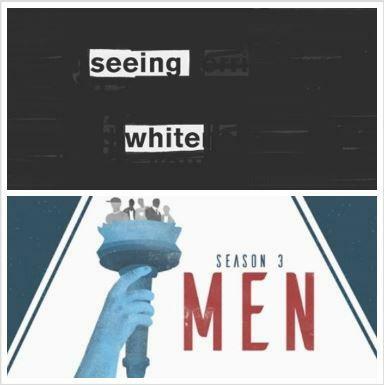 The first series, called ‘Seeing White’ focused on the problems of racism in America and the faulty logic that led to the construct of race in the first place and was co-hosted by Chenjerai Kumanyika, who now co-hosts Gimlet Media's "Uncivil" podcast. The second series, called ‘MEN’ is about the bad, and the good, of masculinity and how sexism is so widespread that it affects men and women in our country. Celeste Headlee, a longtime reporter and host, joined Biewen to host the series and impart her own experiences. John Biewen, audio program director at the Center for Documentary Studies at Duke University and host of the "Scene on Radio" podcast. Lisa Wade, associate professor of sociology at Occidental College.